Nothing from Mar 31 2019, Sun to May 01 2019, Wed.
Agapay, Kalinga, at Kwentong Alay ng mga Pharmaceutico (AKKAP) is a non-profit organization composed of pharmacy students, educators, and professionals. Members share their time and talents in storytelling and we are one in promoting optimum healthcare through emotional uplifment of pediatric patients battling chronic diseases. AKKAP also aims to inculcate moral values and health concepts among children children in communities within Metro Manila. The Industrial Pharmacy Honor Society is a socio-civic organization of the University of the Philippines College of Pharmacy founded in September 4, 1993 upon the three guiding principles of Academic Excellence, Social Awareness, and Community Service. The organization serves primarily as a venue for students to be actively involved in socially-relevant, health-oriented pursuits in and out of the College of Pharmacy. In pursuit of our ideals, IPHSoc holds medical and dental missions to help underprivileged communities in need of medical attention such as Rizal, Pampanga, and Pangasinan. IPHSoc also organizes outreach programs for the kids, sick, elderly and babies as beneficiaries; and Back-to-School Drives in public schools with a mini-program that includes games, performances and food to share joy. IPHSoc also organizes seminars and participates in campaigns relating to health and socially-relevant issues. In September, the organization celebrates its anniversary month filled with activities for the members and the college. This includes the Anniversary Night which is an event only for IPHSoc members and alumni. During this event, members and alumni can interact and share experiences about the organization. To cap the events and accomplishments of the organization, IPHSoc regularly publishes the IPHSoc Chronicles, the official newsletter of the organization. LIKHA is an organization that endeavors to become the seat of the students’ creativity. The founding of LIKHA was a response to the college’s need for a structured assembly of individuals who would plan, manage, oversee, and execute the set designs of various events. From then, the organization currently houses a variety of members – from people who want to share their talents, students who want to immerse themselves in something other than academics, and also to those who simply have the enthusiasm and appreciation for art in its many forms. Regardless of its medium, be it performing, visual or digital, art is the core and recurring theme that links all the members together to form LIKHA. Pharmacy Junior Ambassadors of Music (PharmJAM) is the official musical performing group of the University of the Philippines Manila, College of Pharmacy, composed mainly of students, alumni, and faculty members with a shared passion for music. Established initially as UPCP Choir in 1993, the group was reinvented and renamed as PharmJAM in December 2009, strengthening its organizational constitution and structure by the creation of two divisions, namely the Vocal Group, which consists of singing member performers, and Instrument Group, which consists of members who officially perform musical instruments. The PharmJAM’s primary mission is to provide musical performances for the college and the university, working together as an organization in line with excellence through continuous learning and promoting music as an advocate of service. The Pharmakon is the official student publication of the UP College of Pharmacy, striving to deliver relevant and unbiased news and issues concerning the college, university, and the nation. It is our mandate to promote campus journalism that is fair and just, to hone future pharmacists in the basic fields of journalism, and to make firm stands based on unaltered facts on national, university, and college issues that are reflective of the CP constituents’ collective voice. Progressive and Responsive Organization of Pharmacy (PROPharm) is a socio civic-political organization that aims to develop awareness on pertinent national and university issues of the times. PROPharm is value- and service-driven. 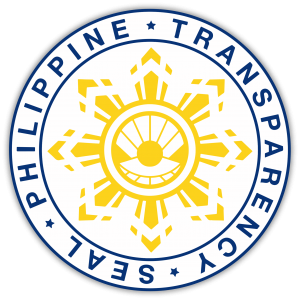 For 19 years, the organization commits itself in upholding a nationalistic and social country and the people. The organization aims to provide the students and young health professionals a means to perform their social, political, and humanitarian responsibilities not only inside the University of the Philippines but also to the greater society where they belong. 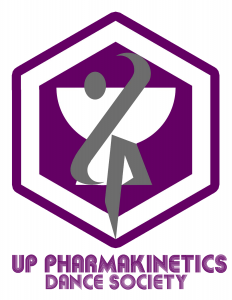 The UP Pharmakinetics Dance Society (UP PDS) is the recognized dance varsity of the UP College of Pharmacy. 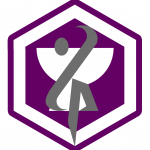 The organization aims to recognize and further develop the inherent talent of pharmacy students to express themselves through performing arts while pursuing their academic excellence. It aims to be the premier youth dance organization of the Philippine Pharmacy community as it serves as a venue for artistic expression and service. UP Sandigan is the premier youth organization of the University of the Philippines-College of Pharmacy that actively partakes in nation-building, working towards a sustainable and democratic society. Through its Executive Committee and its 4 standing committees: Cultural, Education, Propaganda-Politica, and Service Committees, guided by PASSION, DEDICATION, SERVICE, EXCELLENCE and INTEGRITY, UP Sandigan continuously strives to fulfill its two-fold aim: to foster a holistic environment to hone the leadership potentials of the youth, and to serve the Filipino people through socially-relevant projects. Now on its 28th year of establishment, UP Sandigan’s flame burns brighter and stronger – a flame that gives warmth and light to its members, alumni, and most especially, its beneficiaries. The University of the Philippines Sports Alliance of Pharmacy Students is the official sports varsity of UP College of Pharmacy, keen to promote physical fitness and the core values of sports and games to the students of the UPCP, guided by the underlying basic principles of collaboration and teamwork in every game we engage in.